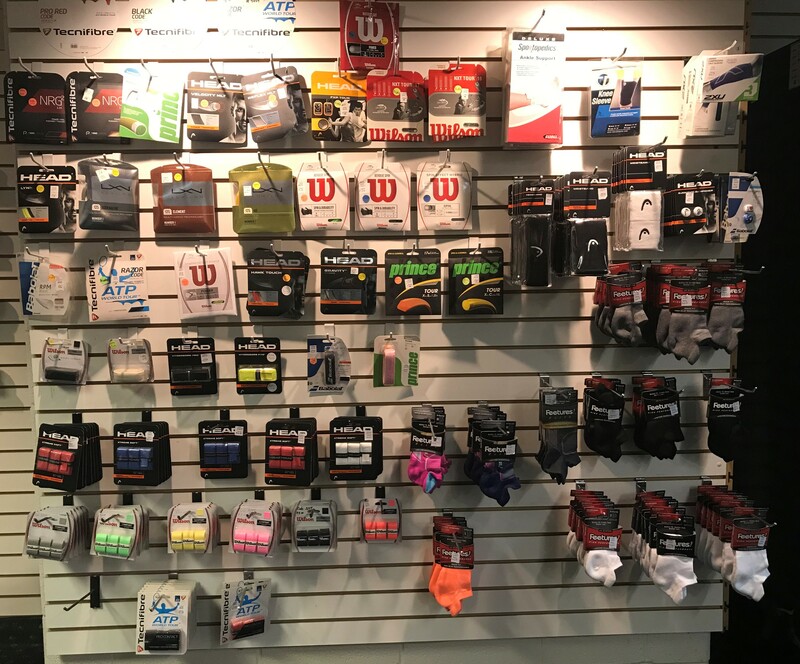 Our Pro Shop carries an extensive line of racquets, strings, racquet accessories, and shoes! 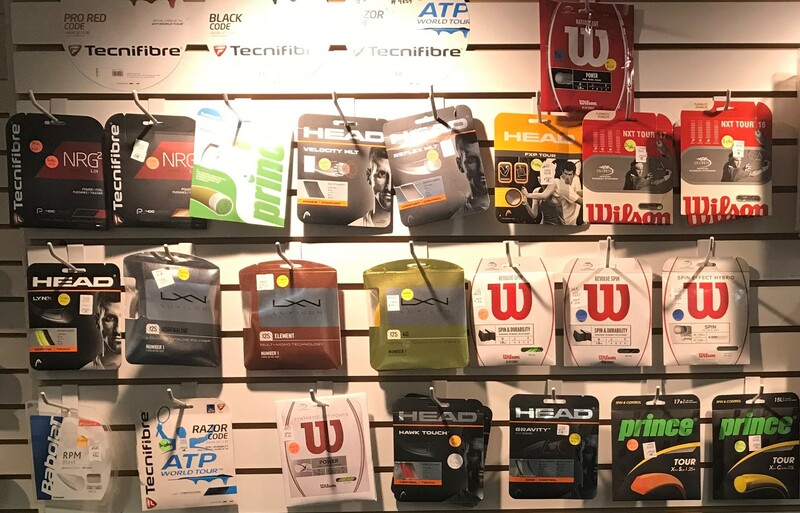 We carry current models of tennis racquets, from Wilson, Head, Babolat, and Prince, as well as Head racquetball and pickleball racquets! For a nominal fee, racquets may also be rented out on a weekly basis! 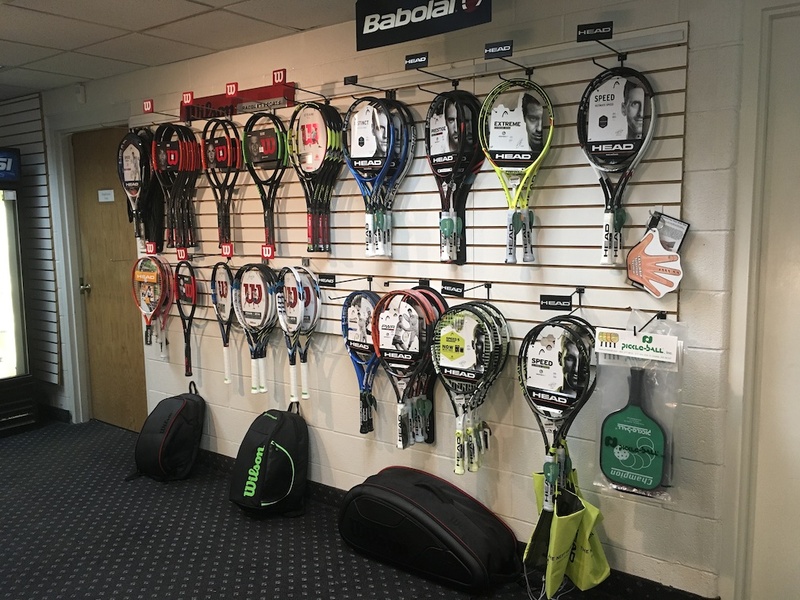 The shop does extensive hybrid stringing, catering to each player’s unique preference. We offer 24-hour turn around stringing service for a small, additional fee. Custom stenciling is available, along with re-gripping. 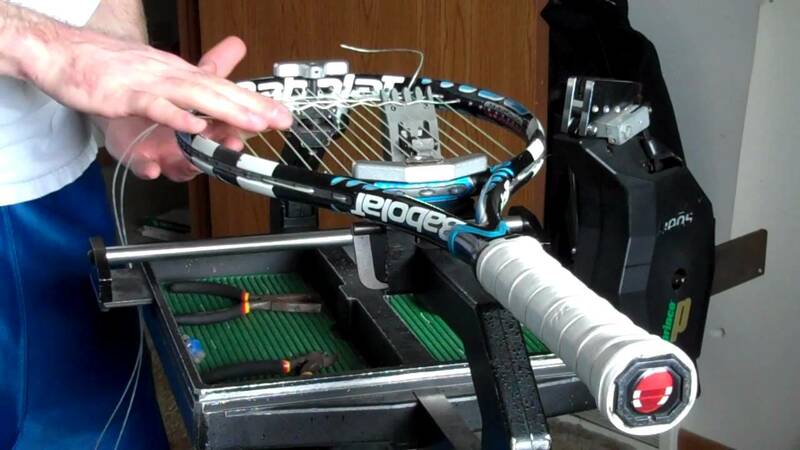 You can even bring in your own string and we will string your racquet for a labor-only fee! 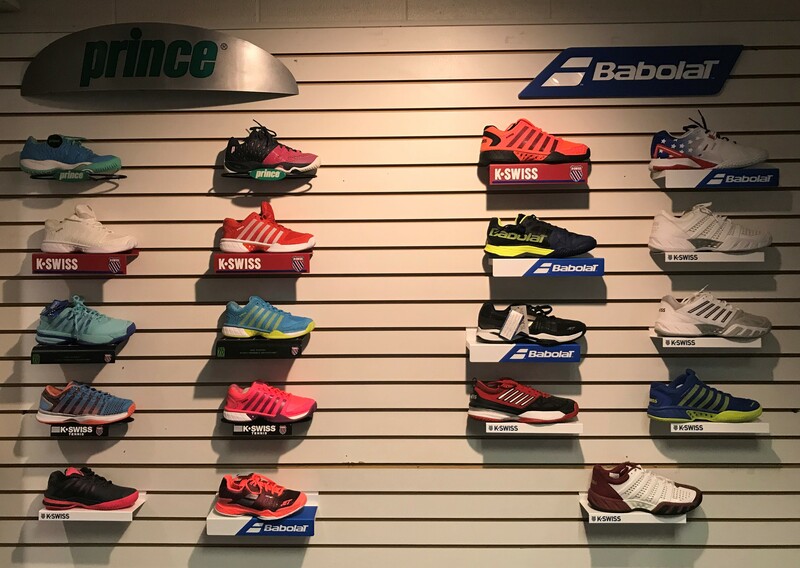 Our Pro Shop carries a wide selection of high-performance shoes from Prince, Babolat, and K-Swiss!